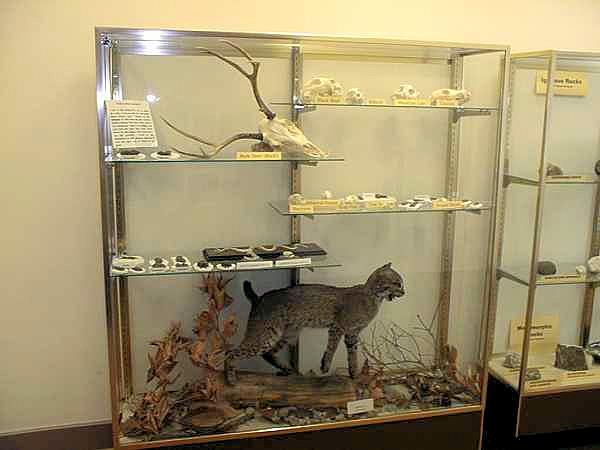 Ahead and to the left as you enter the Nature Center, you'll find animal bones, plaster casts of animal tracks, and a mounted bobcat. In the case to the right are rock and mineral samples collected from Eaton Canyon. Click here to learn more about the geology of the area.